Forecast highs through Saturday will be in the low 90s. The normal high this time of year is 80 degrees. Lows throughout the forecast will be in the mid- to upper-60s, the weather service said. Above-average temperatures and sunny skies are expected in the Las Vegas Valley through Friday, according to the National Weather Service. Forecast highs through Friday will be in the low 90s. The normal high this time of year is 80 degrees. Lows throughout the forecast will be in the mid- to upper-60s, the weather service said. 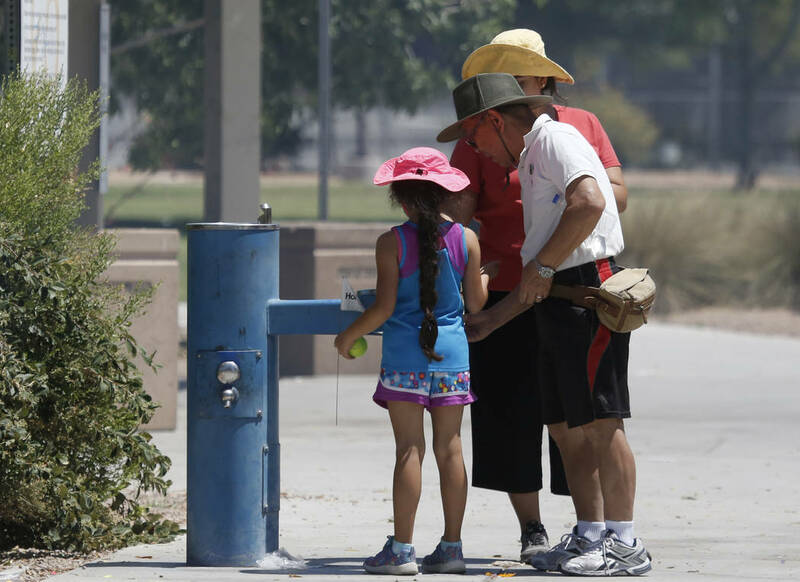 The valley could experience light breezes Tuesday, the weather service said.